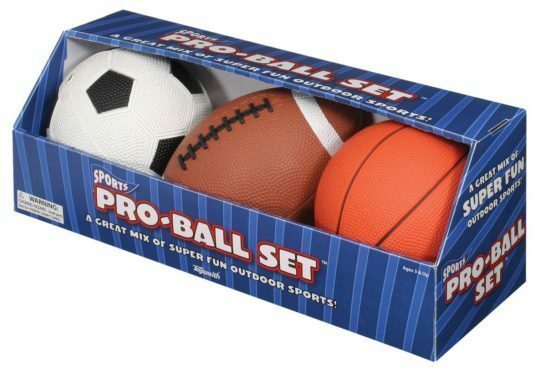 These soft sports balls are made for smaller hands to enjoy their favorite games. This set includes one (1) 5-inch soccer ball, one (1) 6.5-inch football and one (1) 5-inch basketball. This toy is suitable for indoor and outdoor use. Durable plastic construction and bright colors stand up to tough play, and resists stains or fading.